The space station has been attacked! Captain McNair must find out who did it and why. He struggles with a terrifying enemy in a war that he is not prepared to fight. Victory seems possible only by joining forces with a potential ally he knows nothing about. Is this the Third Dawn for mankind or the end of human existence? I enjoyed the time I spent listening it. It helps my son-in-law is the voice. 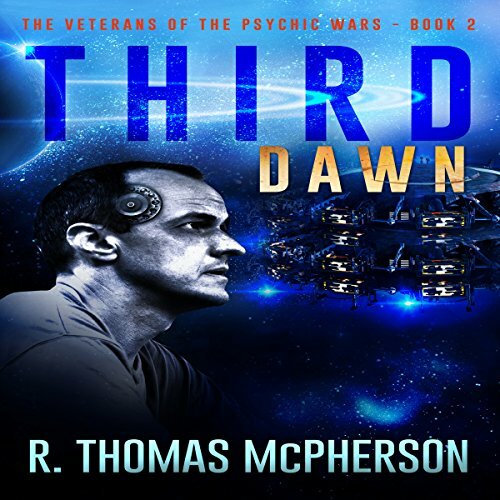 If you could sum up Third Dawn in three words, what would they be? I love all Sci-Fi stories and it was interesting to take a different spin by making it underwater too. What about William L. Sturdevant’s performance did you like? William L. Sturdevant used different character accents to enhance the story. He kept me engaged and involved in the story. I really enjoyed it! This was the 2nd in a series and I can't wait to hear the next one!